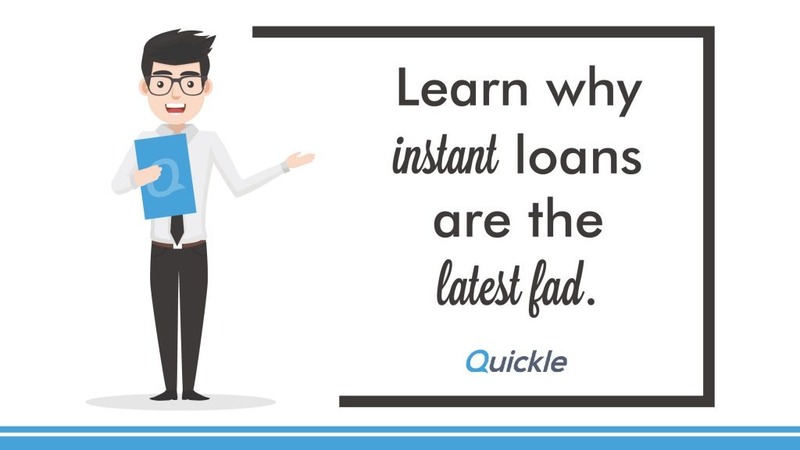 Why Instant Loans Are The Fad? The popularity of instant loans is in an all-time high. The loan application is usually done online which makes the process more convenient and faster. Once your application is approved, the funds will be transferred directly into your bank account in just a few hours or within the same day. If you have bad credit, therefore not eligible to acquire traditional loans — the application process can be grueling. An instant loan can be the answer to borrowers with an urgent need for funds. As long as the borrower can substantiate his capabilities to pay off the loan, there is a chance for approval. Instant loans, also known as cash loans, can lend the borrower up to $2,000. The repayment period is usually short, between 16 days and 1 year. It is necessary to know the Ins and outs of instant loans before committing to one. This type of loan comes with higher rates and fees so it’s advisable to only get it for a financial emergency. The criteria to be eligible for instant loans is more adjustable compared to other loan options offered by banks and credit institutions. Commonly, the borrower needs to be at least 18 years old; has a source of income (around $350 per week) or benefits (less than half of your income), and can provide 3-month bank statement. Although there is no guaranteed approval, the borrower has to establish first that he can make the loan repayments. Because it’s quick to get hold of the cash upon approval, the turnaround times for instant loans are also fast. Usually, the borrower will be required to pay off the full amount, including fees, within a shorter period. It’s better to expect that repayments can be impactful on your budget. Loan terms — Generally, the repayment period for instant loans is between 16 days and 1 year. Borrowers will have to make the repayment in full plus fees within the given time frame. Loan terms are usually described in the loan agreement. Another great thing is some instant loans can be paid back early to help save on fees. Loan amount — Lenders have a maximum loan amount for instant loans. They normally offer access to funds from $100 to $2,000, depending on the borrower’s financial condition and how much his income is. For first-time borrowers, the maximum amount might be lower than usual. Fees — Instant loans of up to $2,000 come with 24% fees regulated by the Australian government as part of responsible lending. Encompassing the fees are the 20% loan establishment fee and the 4% monthly fee, both calculated based on the principal. The principal is the amount borrowed from the lender. You have to know beforehand that you will be able to return the funds, including applicable fees and charges. This is always the best practice to avoid late repayments or default. Other fees associated with instant loans are late payment fees, arrears fees, collection fees, collection letter send out, and statement fees. To get an estimate, use Quickle’s loan calculator. This calculator does not serve as the absolute indicator in your decision to get a loan. It is wise to seek advice from a financial professional before making a deal. Convenient process — The convenience entailed with online application makes the process a cut above other options. Instant loan websites have online forms ready to be filled up and completed, hence it can be quickly submitted. The borrower will receive a notification on the result within minutes via SMS or email. Once the application is approved, the funds can be transferred into your account within 1 business day. A secure online system is essential in the online application process. Australian credit institutions make sure to protect the user’s privacy which is why they have a secure server and SSL encryption in their system. Instant loans are regulated by the Australian government law for responsible lending. In line with the regulations, the borrower cannot renew the loan. If he wants to take another instant loan, he has to pay off first the existing one and then re-apply. Say the borrower has been responsible and made the repayments on time, there’s a better chance for the lender to approve him for another loan. Lenders are taking notes on responsible loan repayments so it’s beneficial for borrowers as they can now loan a larger amount. If this becomes the trend, the borrower might want to consider a long-term solution instead.